We are neither blithe optimists, for whom boom times will never end, nor inveterate pessimists, who see bubbles and crashes behind every shrub. 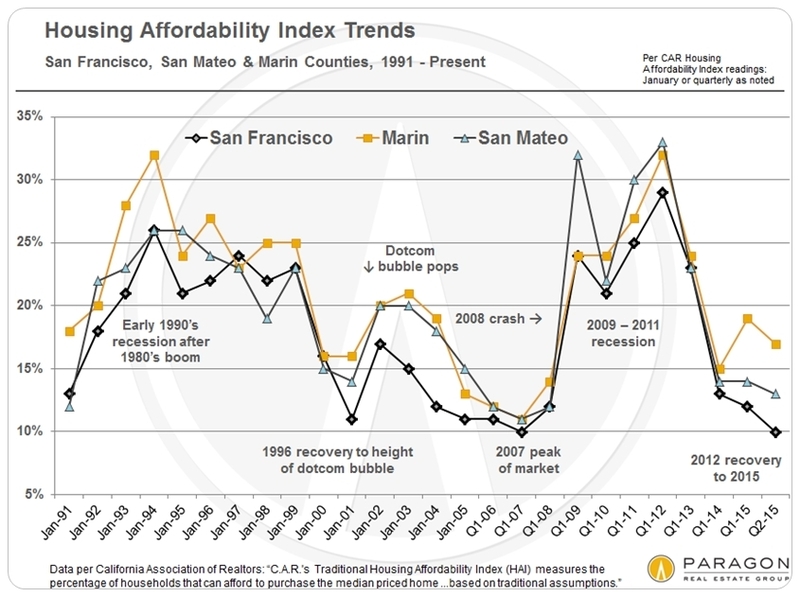 For what it’s worth, based on our survey of current economic fundamentals, we don’t expect an imminent crash in the U.S. stock market or in Bay Area real estate values. 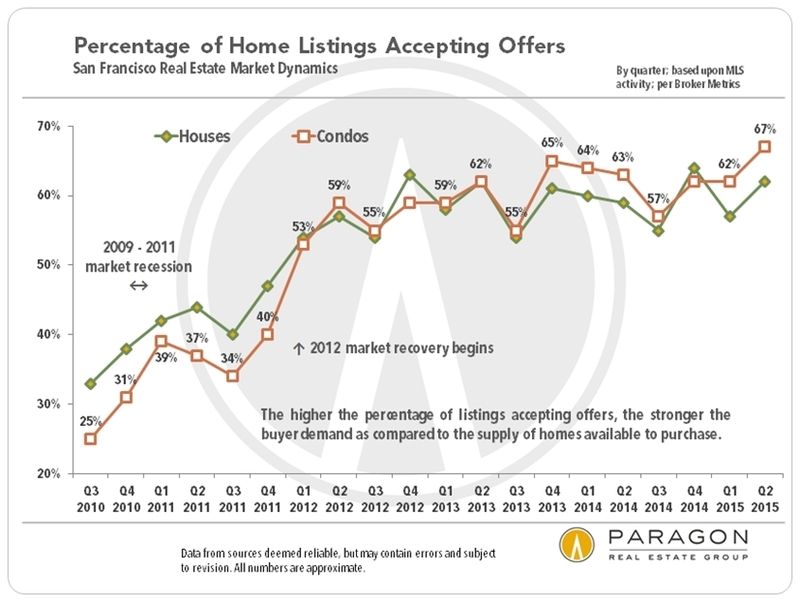 (This short New Yorker article is excellent on recent market volatility: Drop in the Bucket) However, economies and markets naturally experience fluctuations – short-term ups and downs, times of slowing and flattening – and it’s certainly possible that the balance between buyers and sellers might shift, that the frenzy in our market may subside, and that home prices may plateau or even tick down to some degree. 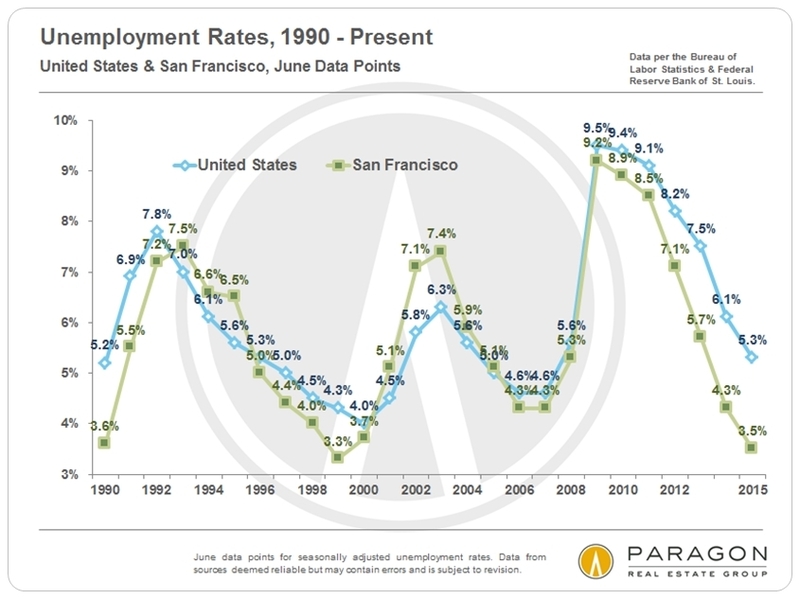 On the other hand, due to the scale of our high-tech boom (another area of exuberantly conflicting predictions) and our deeply inadequate supply of housing, demand may continue to exceed supply, and the pressures of recent years may continue until new-home construction makes a more significant contribution to. 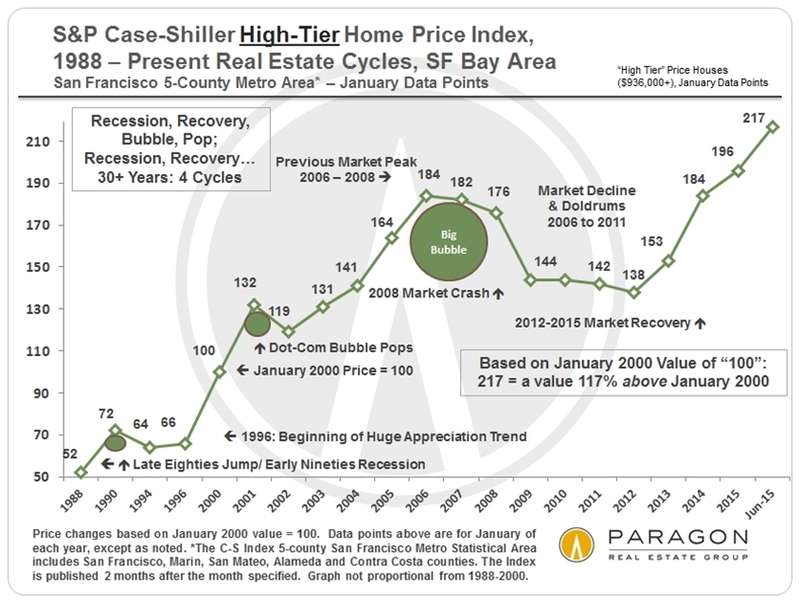 An updated Case-Shiller Index chart for the 5-county San Francisco Metro Area, outlining the real estate market cycles going back to the 1980’s. (The June Index was released on August 25th.) 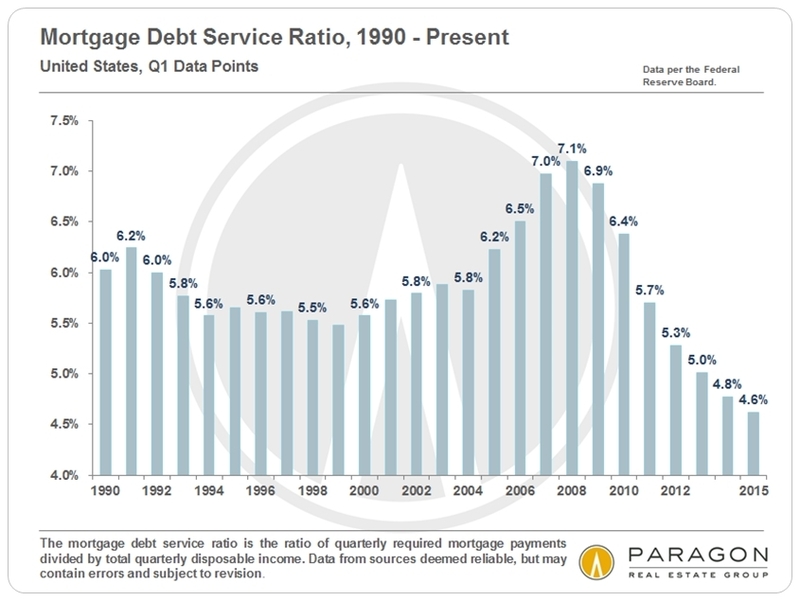 It is noteworthy that over the past several decades, we’ve never seen a crash or significant “correction” in our real estate market that was not in conjunction with a major, sustained, national economic event. 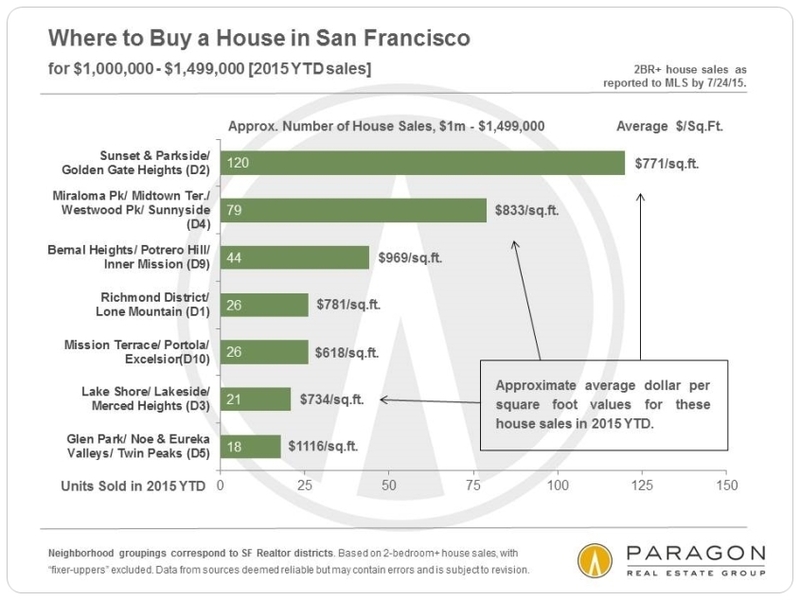 This chart also suggests that SF buyers who purchase homes 1) they can afford in the first place, 2) using fixed-rate mortgages, and 3) for longer-term ownership (and don’t constantly refinance out increasing equity), usually come out all right, and often fabulously well, despite periodic market declines. Of course, if circumstances require one to sell at the bottom of the market cycle after buying at the top, then the situation can be painful. 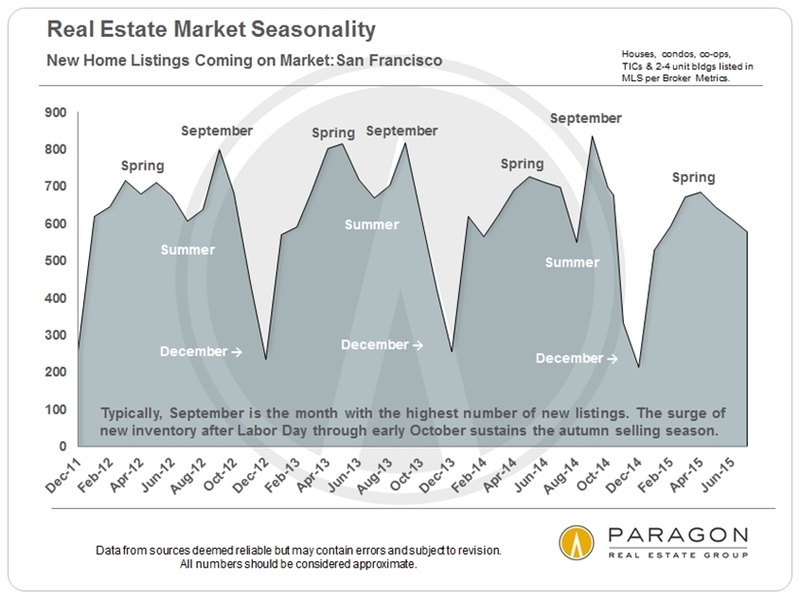 Monthly fluctuations – often seasonally related – have been common since 2012, but home prices have consistently climbed higher over the longer term. 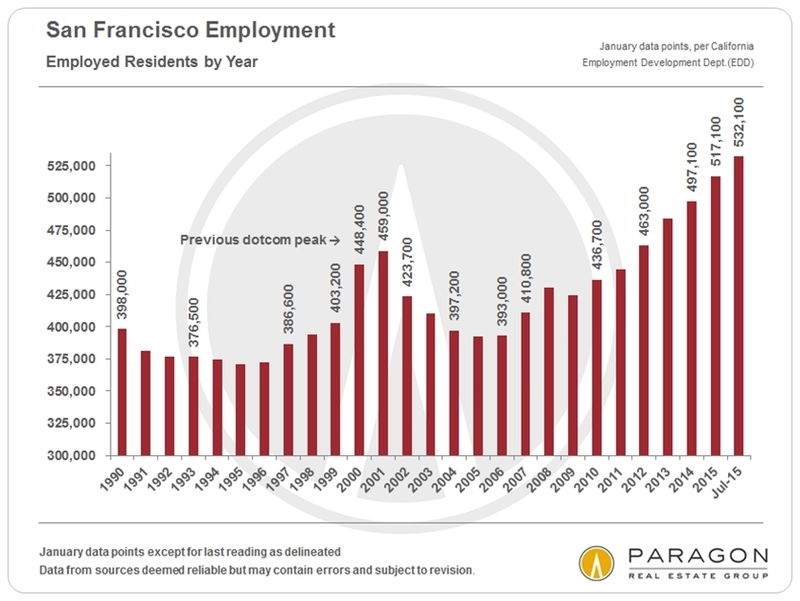 Over 100,000 new SF jobs – many of them very well paid – have been created since 2009. 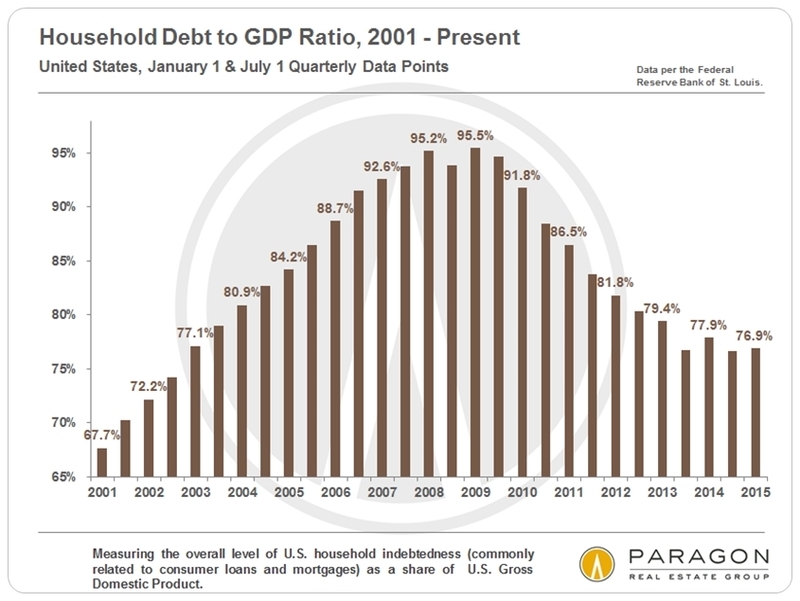 Household debt to GDP and mortgage debt service ratios – huge issues in the 2007-2008 crash – have significantly declined since then. 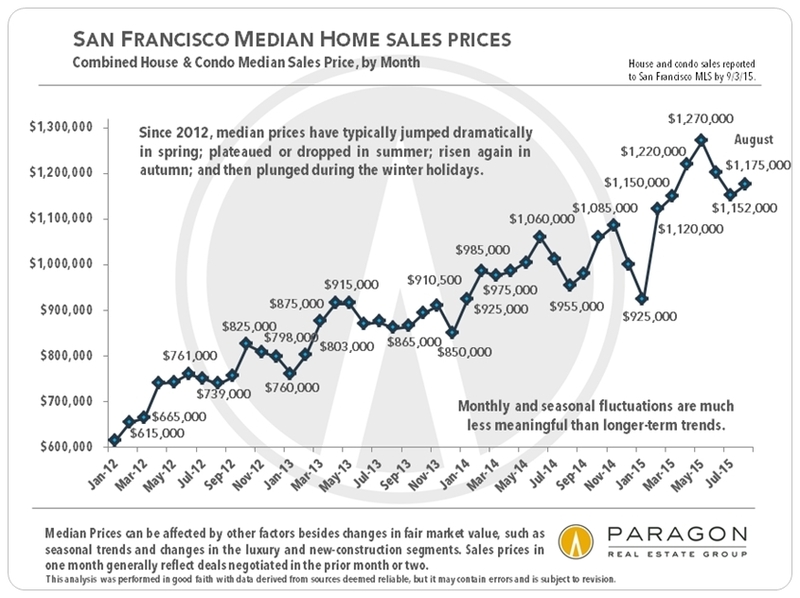 Sustained movements in the S&P 500 Index largely correlate to SF home-price trends. 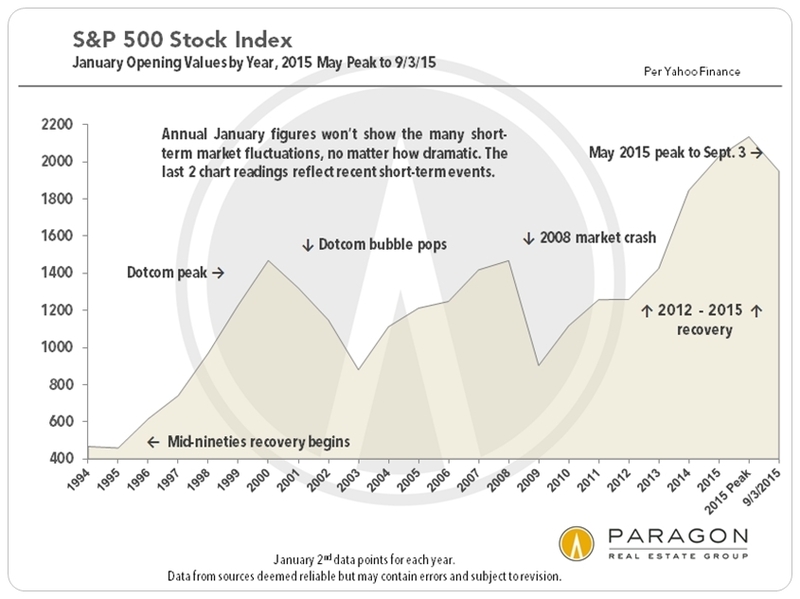 Short-term financial-market fluctuations typically have no effect. 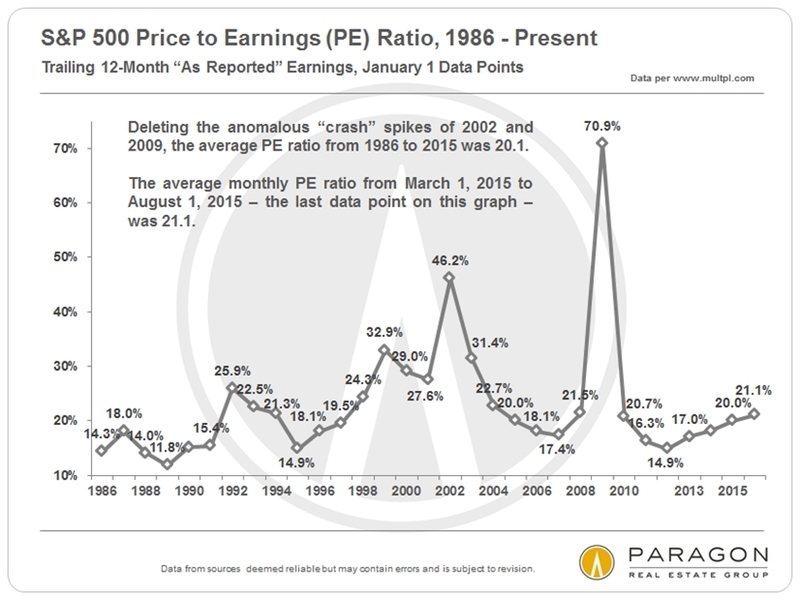 Price to Earnings (PE) Ratios of the S&P 500 Index climbed a bit high in mid-2015, but not egregiously so compared to historical averages.